In the 1940s and 50s, browline and cat-eye glasses were sported by celebrities like Marilyn Monroe. In the 60s and 70s, geometric, oversized and brightly colored frame styles surfaced, with First Lady Jackie Kennedy often wearing oversized black shades. And in recent times, advanced designs have led to thousands of options and the rise of brands like Warby Parker and Ray-Ban. As the shapes and styles of eyewear have evolved over the years, iconic celebrities have embraced the trends, and along the way have changed people’s opinions about the accessory itself. Many students recall the elementary and middle school days when glasses were taboo. 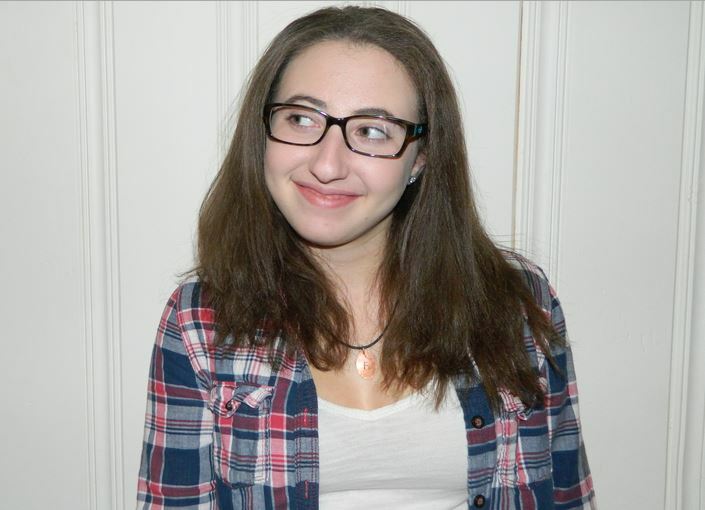 Adele Carter ’16, a consistent contacts wearer, remembers when wearing glasses to school was considered nerdy. “People only wore glasses who actually needed them, like me,” Carter said. Even with the rise of glasses as a fashion statement, Carter argues that, trend or not, the only reason to wear glasses should be for practicality. “I guess the whole trend is weird to me, considering that glasses are truly only meant to help people see, and that was their only true purpose up until recently,” she said. Rebecca Oestreicher ’16, a glasses wearer, agrees. “Glasses aren’t supposed to be a crazy accessory–if you need them, you need them,” she said. However, many students have found other purposes for glasses and have embraced new eyewear trends. Justin Cheng ’16, who dons black-rimmed, rectangular glasses, explains that he doesn’t just wear them for practicality, but for style. “I think my glasses really spice up my image and give me a little visual zest,” Cheng said. Like Cheng, many students think glasses have become not only socially acceptable to wear, but a desirable touch of personal style. Emma Caplan ’15, not a glasses wearer herself, has noticed the increasing popularity of students choosing to wear glasses, which she attributes to the influence of celebrities who incorporate their eyewear into their street styles and even red carpet looks. Many students admire famous actor Ryan Gosling’s spot-on street style which usually consists of gray wash jeans, simple white T-shirts and Warby Parker Preston frames. ­ ’16, Gosling has helped break the stereotype that only nerds wear glasses. Eyewear has also become a way for students to express their personalities and showcase their inner strengths. Cheng believes the growing love for glasses is just the beginning of the trend’s reign at Staples.